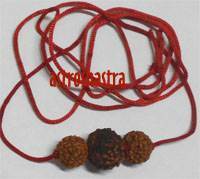 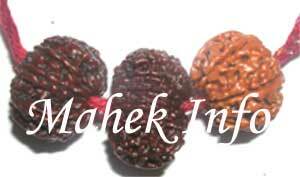 Rudraksha Pendant for Protection consist of 1 beads of Eleven Mukhi, one bead of nine Mukhi and 1 bead of Seven Mukhi representing Maa Kali. 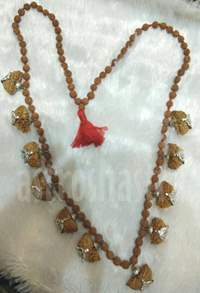 The wearer of this pendant is always protected, blessed with money, power and all his worries and difficulties are washed away by Goddess Kali blessing. 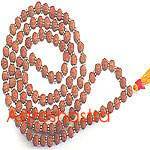 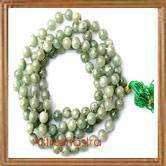 Those who wear this pendant with specific wish in their mind , that wish is always fulfilled. 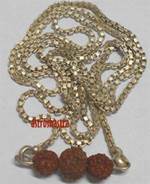 Whether one is Businessmen, in service, shop owners, this pendant is an excellent tool to attract the blessings of Maa Kali i.e. 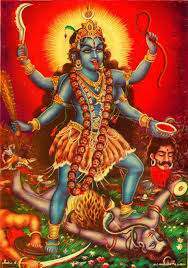 Shakti.